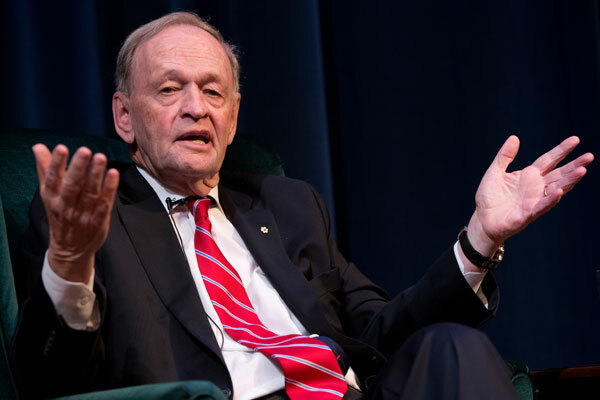 Jean Chrétien has come to Justin Trudeau’s defence. Polls and pundits around the country have been skewering the Liberal leader since his performance inside and outside parliament concerning ISIS. Military engagement against ISIS is a serious issue. And not even Jean Chrétien can save Mr. Trudeau from a serious international event. Without Justin Trudeau going through the trials and tribulations needed to build a great leader, the Liberal Party would be ill-advised to select a candidate whose stardom is the reflection of another person’s actions. Then again, politics is about winning elections. And whether he is ready or not, Mr. Trudeau may be able to do just that. He may be able to do just that. I have considerable doubt about that statement today. I believe the best contribution Canada can make is by engaging in massive, not token, humanitarian assistance. It is why in answer to the questions asked of me, I support the position of Justin Trudeau. The legacy of Western colonialism in the Middle East had not been forgotten and was only exacerbated by the Western military intervention in Iraq in 2003 with the consequences we face today. Unfortunately Mr. Harper did not understand that history in 2003 and does not understand it today. No one underestimates ISIS or its particular brand of barbarism. But the issue is what is the best way to combat it and what is the best contribution Canada can make. If the military intervention is seen in the region as just another knee jerk Western show of force, we all know what the long-term consequences will be. A wrong decision, like invading Iraq in 2003, can have disastrous results that reverberate for years, as we have seen. The rise of ISIS today is in large part a result of that war. What Mr. Chrétien did was articulate a position. He articulated a position by assessing motivation for action and effectiveness of action, by demonstrating an understanding of regional geopolitical realities, and by illustrating the irresponsibility of his opponent’s military response. It was a leader’s position, well articulated. On the other hand, Mr. Trudeau’s performance when speaking about ISIS has been weak. His quip outside parliament that Harper is “trying to whip out our CF-18s and show them how big they are” demonstrated a lack of seriousness in international affairs. In parliament, Mr. Trudeau deferred to his lieutenants during much of the ISIS debate. His actions exposed his inability to speak on such matters without being presented a narrative. He showed a clear lack of experience and confidence in handling serious international issues. During the last month or more, Mr. Trudeau has exhibited critical flaws in performing his essential duty as party leader: to clearly articulate, defend, and execute his position. Mr. Trudeau could have explained that there is no comprehensive plan to confront ISIS; that there exists fundamental concerns about military involvement in Syria and Iraq; that airstrikes alone will not defeat ISIS, nor will they open the space for “moderate” Syrian rebels to take over, whoever those rebels may be; that combating ISIS requires working in interest with Syria’s President Assad, whose documented torturous and murderous actions surpass those of ISIS. He could have explained that our regional allies, the countries most closely affected, are reluctant in their support of western military action. If the Kurdish militias defending the Syrian city of Kobani fail, Turkey will share a border with ISIS. But Turkey has so far been content to sit their tanks in view of the battle, preferring to bomb their own Kurdish rebels. The point is, there are real and considerable problems with military involvement in Syria and Iraq. The incoherent position outlined by the Liberal Party reflects poorly on Mr Trudeau. His inability to articulate and defend the Liberal position is not a positive sign. If Mr. Trudeau is to survive the coming election and be the last candidate standing, he will have to improve, significantly. At the moment, it isn’t pretty imagining Trudeau sparring with Harper and Mulcair during a debate. Mr. Mulcair has done an admirable job articulating his opposition to the government’s decision to go to war. And although Mr Harper’s call to action fell far short of demonstrating how Canada’s military engagement against ISIS will ultimately improve the long-term situation in Syria and Iraq, it was, at minimum, coherent in its simple, good-vs-evil presentation of a complicated issue. 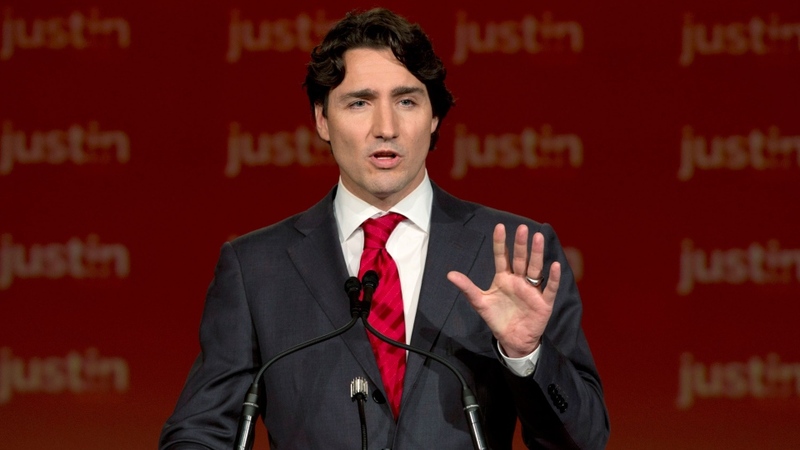 The Liberal strategy has so far been to rely on the not-Harper vote. While the not-Harper camp is significant, Mr. Trudeau is clearly going to have to present himself at some point. Because if what we witnessed in the last month is an accurate demonstration of a man under pressure, Justin Trudeau will not unseat Stephen Harper without substantial development. Adjectives on him I concluded early Sunday morning were Tentative, Confused, Unprincipled, and Unrealiable. Will forward couple items you might want to check out. Trudeau didn’t show his best colours during the ISIS debate. I wouldn’t go so far as to label him unprincipled, but inexperienced. The Harper government has proclaimed a “principled foreign policy” for some time while demonstrating anything but. Tentative, sure. Unreliable, maybe. Unprincipled? The Liberal position isn’t unprincipled, it was just articulated very poorly.